Looking after your health is a responsibility that you should take seriously, especially if you want to live a good quality life. Your environment is filled with so many things that can both threaten and harm your health, so protecting yourself is key. One of the foremost ways that you can do so is by maintaining healthy habits. 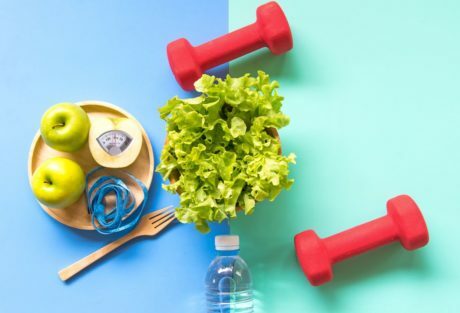 This may include ensuring your diet is filled with healthy foods, being as active as possible and doing things that make you feel happy and stress-free. Below you’re going to find four natural ways that you can look after your health as a woman. Anxiety isn’t something that’s uncommon seeing as so many battle with it. It has even been said that women are nearly twice as likely as men to be diagnosed with anxiety disorders in their lifetime. This can create a significant level of unrest as well as have a negative effect on your mental health. In light of this, one natural way that you can reduce anxiety is by using CBD. This natural solution can be consumed in a variety of forms such as through the use of oils, capsules, edibles, or creams and lotions. For more information, you can always visit Canada Bliss Herbals online. Although you’ve likely heard it time and time again, exercise is essential. Staying active can help fight off so many diseases and illnesses as well as make you feel a lot better. To boost your health, try and make sure you exercise at least thirty minutes a day five days a week. If you didn’t already know, heart disease is the leading cause of death for women in America, so you should exercise to keep your heart healthy and reduce the chances of this happening. These activities could be anything from walking to jogging or dancing. Breast cancer is another prominent issue that women globally struggle with. There are natural ways to help prevent this, and one is checking your breasts for lumps on a regular basis. Be on a lookout for any changes in your breast and if you have any concerns, let your doctor know. To reduce the risk of breast cancer, limit the amount of alcohol you consume, maintain a healthy body weight and try to avoid smoking. As mentioned above, being physically active could also help as well. Many women want to age well, and there are natural ways to do so. One is by eating foods with antioxidants as this can help fight diseases and aging by helping to reduce both damage and inflammation. You should know that inflammation is a leading cause of wrinkle formation. Some of the foods you may want to eat to help in this respect are blueberries, nuts seeds, spinach or pomegranates. For those who have a sweet tooth, you may be pleased to know that dark chocolate has the antioxidants you need too. Looking after your health in the most natural way possible is something you should aim to do. You can ensure you age gracefully, maintain your youth, and have enough vitality by doing so. By putting your health first, you should find you feel better mentally and physically.